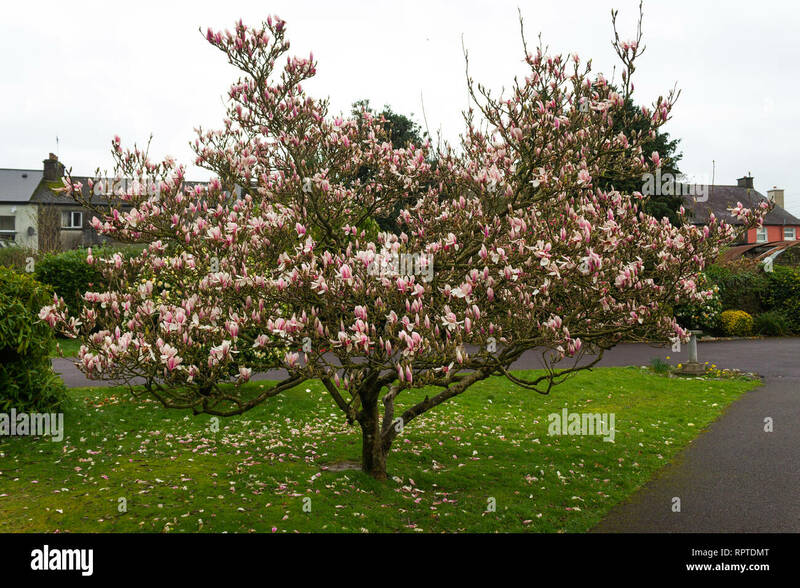 Most grandiflora species are evergreen, the one in your pic looks to have lots of fresh leaf buds, so more likely a deciduous variety. Also worth saying that both of our grandifloras flower mid summer onward, whilst our decidous ones are just coming into bloom, is this a recent photo? Sorry TeeCee my mistake on the label with grandiflora. Yes it is a large deciduous tree and in bloom now. There are lots!!! I've only got the one in my own garden though we grow a few at The Garden House so I'm no expert. 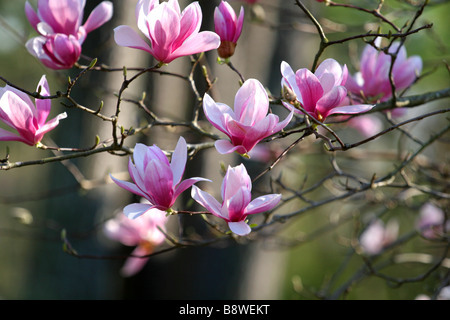 My first thought is Magnolia x soulangeana but that normally flowers a little later - though not this year. It's commonly grown and has the right shape and coloration. But, how big are the flowers? 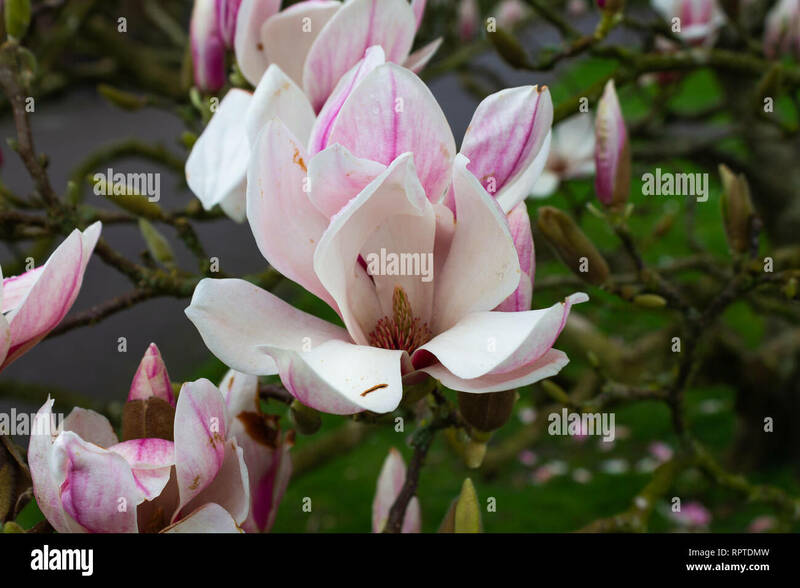 If they are particularly large then it could be one of the early flowering tree magnolias such as Magnolia cambellii which should do well in Ireland. Hi John, looking online there are a lot that look very similar, the flowers are large, just starting flowers opening last couple of weeks, all of them over here are doing the same. We are having early high temps and no frost so all the camelia's and magnolia's are in full undamaged bloom. Thanks for your help as usual the font of all knowledge leafy. This is the actual tree. 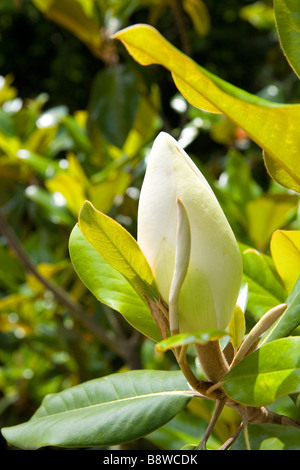 Yes, that confirms it as Magnolia x soulangeana. That's how they typically grow. Which variety of x soulangeana I'm less sure about; there are a few from the cross in cultivation but I think it's safe to label it as that. Yet again thanks a million John. Tags being updated now.